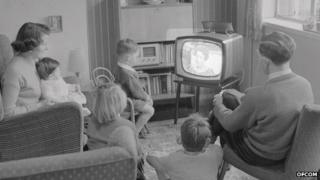 Communications regulator Ofcom said 91% of adults watched their main TV set once a week - up from 88% in 2002 - but their attention may be distracted. 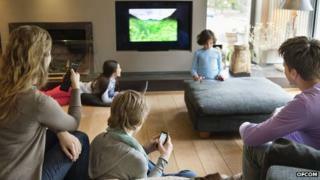 Most family members now multi-tasked while sitting in front of the TV, the survey of 3,700 over 16s found. Video Which gadget could you not live without?